This is also intended for teachers who would like to introduce their beginner students to the immense guitarist that Hendrix was. Also, discover what makes his style so special. When you take a look at Hendrix’s track recordings, you are quickly impressed by his unique technique and the complexity of his blues/funky rhythms. We offer you 5 easy-to-play lead guitar licks with some of the most used playing techniques by Jimi Hendrix. Download these 5 free exercises and learn your first licks in the style of the guitarist still considered the best in the history of music. We start slowly with this easy first lick based on a sequence of three chords: E7, G, and A. The first bar is a nod to Hey Joe with a one-tone glissando, so you have to slide from the 3rd-fret to the 5th-fret with the ring finger. A bit more complicated with this blues lick where we will work on a series of chords made famous by Hendrix. The difficulty will be to succeed in linking the chords and notes alone while respecting the tempo. You will face here a more complex funky/blues rhythmic. The bass is isolated from the rest of the chord and then chords and dead notes are alternated irregularly. To play these chords you just have to move the same pattern. This lick must be played this time with a clean sound, it’s a little nod to the song “Little Wing”. 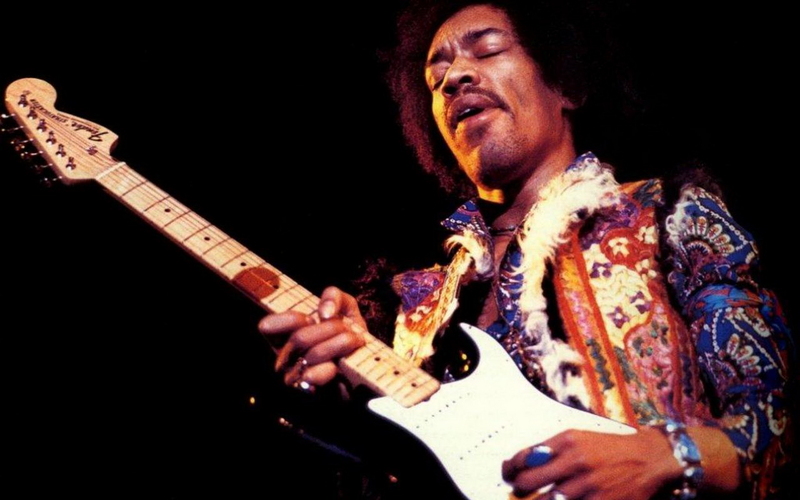 You must play the arpeggios using the very special Hendrix style with hammers and pull-offs. 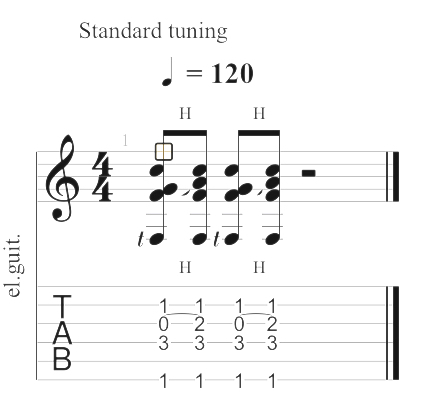 Feel free to extend the index finger (barre chord) on the 4th-fret in the second bar. This time it’s about working on a solo at a slow tempo. You can use the second track as backing track. How to play the Jimi Hendrix way? It is necessary to learn to use the thumb on the fretboard: Jimi used the thumb of his right hand to do a moving base line whilst chording. Why use it in this way? First of all to avoid barre chord and be free to move the other fingers. Jimi loved to play arpeggios using hammer-on and pull-offs. Jimi also used his thumb to have more support for playing his bends and vibratos or to block the bass string whilst chording. You can change your fingerings for right and left hand in Guitar Pro. To do so, click on the File menu > Stylesheet… > Notation > Fingerings section. This chord popularized by Jimi is E7#9, a dominant seventh chord with increased ninth. It is used, for example, in the rhythmic accompaniment of Purple Haze. You can have fun moving this pattern around the fretboard with different rhythms. See licks 2 and 3. Jimi didn’t just tackle the chords, he preferred to play them in arpeggio with ornaments, i. e. with the help of hammers and pull-offs. You can work on this chords in licks 2 and 3. To memorize your pentatonic scales, we recommend the website guitar-chords.org.uk which is very complete and free. 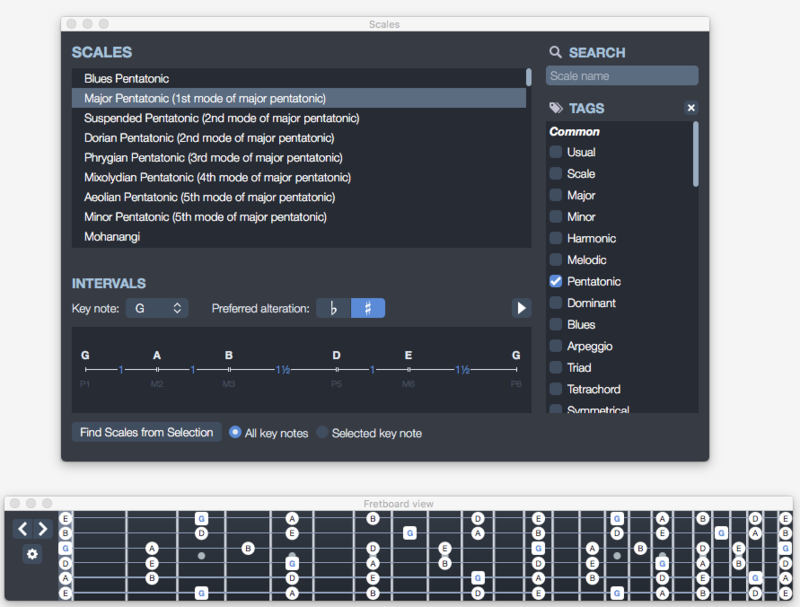 The pentatonic scales are presented in the form of highly readable diagrams in all tones. Playing on a Stratocaster electric guitar is of course ideal even if Jimi Hendrix has played with many other models. 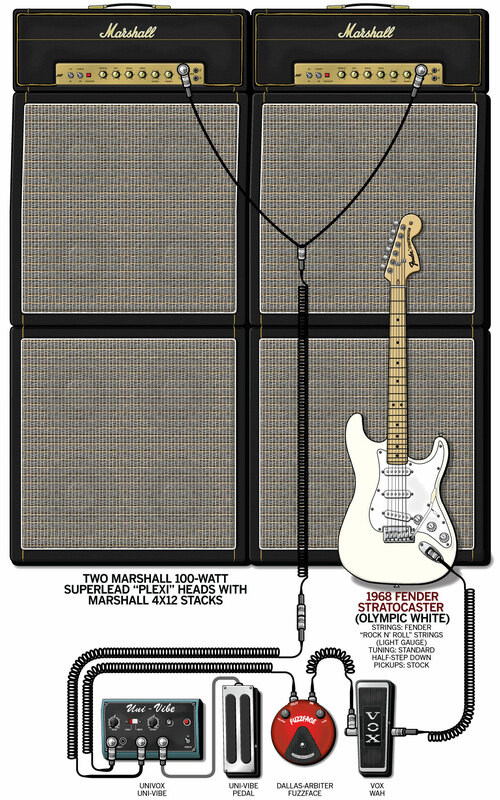 The Reverb.com website has produced “A Short Guide to the Lesser-Known Guitars of Jimi Hendrix”. To learn more about his pedalboard, you can read this excellent article available on Guitargearfinder.com. 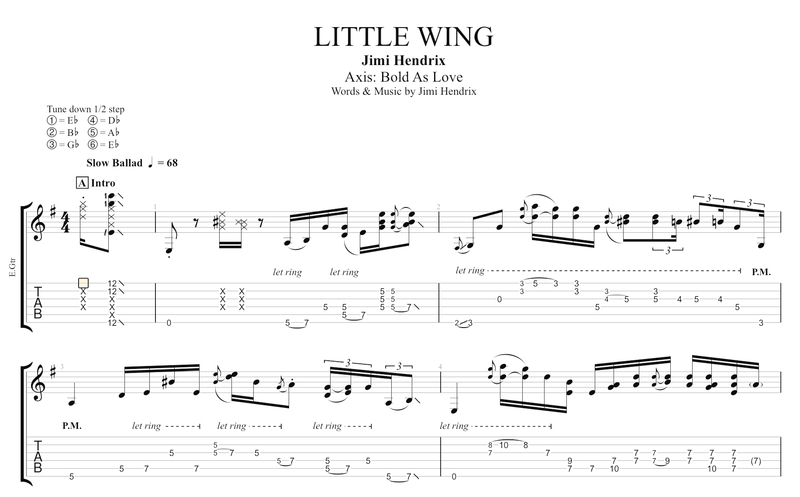 Finally, plug in your guitar with the “line-in” option of Guitar Pro and use Jimi Hendrix’s signature sounds! Signature sounds are available in the Track Inspector (panel on the right-hand side of your Guitar Pro window) > Sounds section. Click on the sound name to display the list of sounds available and start using the signature sounds related to Jimi Hendrix. For more explanations, read our post explaining signature sounds and download here the complete list of signature sounds available in Guitar Pro. what a very nice and pleasant article about JH! Thanks for sharing. Will use the free leads and other suggestions. Not a beginner, but Hendrix is a challenge to get it right without a hint. This is the best Hendrix article I have read. The Tabs, information, and links to other in-depth discussions on Jimi’s style are all excellent value. Thanks for taking the time to write a very useful Hendrix inspired article. Thanks for your email. I have always been a struggling guitar player and this email has been very helpful. Thanks again. Just discovered this blog after getting the newsletter, found this article with sample music, bits of Jimmie’s history and finally a few tips very helping and informative! Just titbits of everything without it being overwhelming – perfect! Hi Jose, thank you very much! We appreciate it. Can I please get tab for Fire, Manic Depression, and Stone Free? Is it possible to download a tab from somewhere else and create a tab for here or import it? I need these tabs really bad. Hi Dave, you can find and load Guitar Pro files from many free websites on the internet. 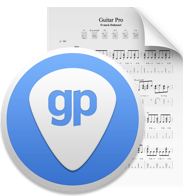 Just write the “name of the song” followed by “Guitar Pro” and you will certainly find your score. These are great songs indeed!